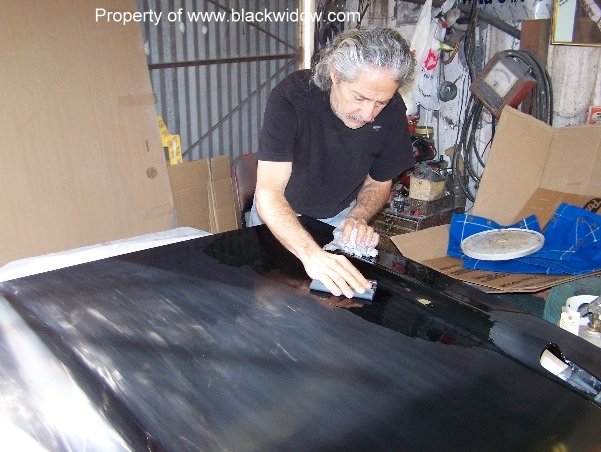 In photo #568 you see "Old Guy Scott" wet sanding with #2000 grit and rubber block. 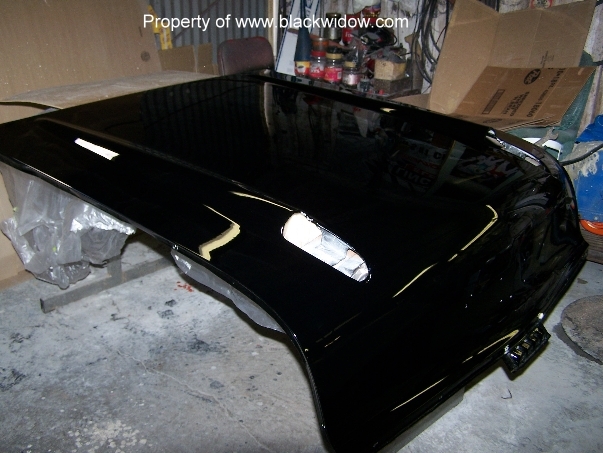 Photo #569 shows un-sanded on the left and sanded on the right. 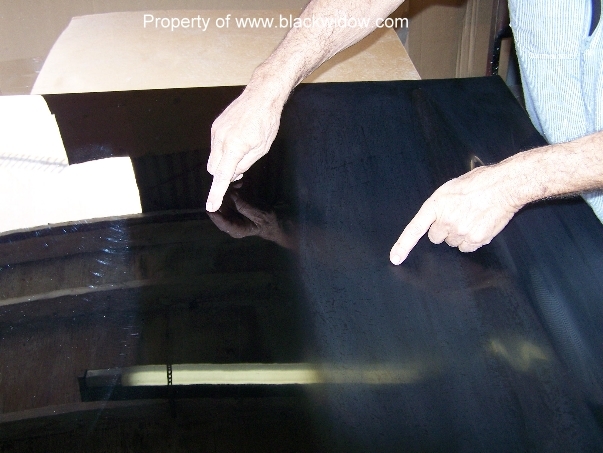 "Old Guy Scott" is buffing hood in photo #570, enlarge the photo and check out that deep reflection. Photo #571 shows the final result. The amount of work involved in this paint job is really something.